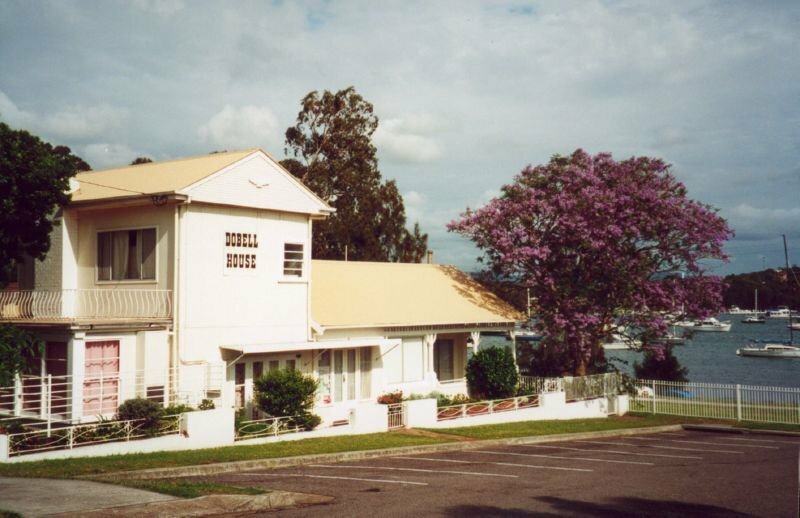 In great news for history buffs and the people of Wangi, Heritage Minister Mark Speakman has confirmed that Dobell House will be added to the State Heritage Register. Sir William Dobell lived and worked there for almost three decades, producing some of his most famous artworks. The news is especially good for John Sheehan and the Sir William Dobell Memorial Committee which has worked for many years to have the building's wonderful history preserved on the register. Newcastle Herald Journalist Scott Bevan, who is also a Wangi resident, filed this story on the announcement. Sir William Dobell would be bemused and probably even a little embarrassed. The Lake Macquarie cottage he designed for his father as a weekend bolt-hole and that later became his own refuge when he was the most famous artist in Australia has been declared officially significant. Dobell House, on the shores of the lake at Wangi Wangi, has been listed on the State Heritage Register. John Sheehan, the president of the Sir William Dobell Memorial Committee, which runs the house as a museum, was delighted by the listing. The cottage, which was designed by Dobell in the 1920s when he was working as an architect in Newcastle, was originally a small weekender, mostly used by his father Robert. But in the mid-1940s, William Dobell’s life, and the purpose of the house, changed dramatically. Controversy flared when he won the 1943 Archibald Prize, with his portrait of friend Joshua Smith. The painting divided opinions across the country and even led to a court case as to whether it was a caricature or a portrait. Dobell won the case, but he lost his cherished anonymity. He was front-page news. Dobell escaped his own celebrity by leaving Sydney, and he headed to the little house in Wangi. In time, he modified and extended the cottage. The refuge became his home and studio, and the views of the lake out of the windows and from the front veranda inspired some of his best-known landscapes, including the 1948 Wynne Prize winner, Storm Approaching Wangi. Mr Sheehan was pleased that the listing on the State Heritage Register gave not only additional protection to the house and its gardens, but also to the waterfront reserve, ensuring the views that Dobell sketched and painted were recognised. Although he conceded if Sir William, who was knighted in 1966, were still alive, he would probably have responded to the listing by saying, “What’s the fuss?!”. “He was very much a down-to-earth man,” Mr Sheehan said. The former NSW Minister for Heritage, Mark Speakman, wrote to the Independent Member for Lake Macquarie, Greg Piper, in January advising he had directed the listing of Dobell House on the State Heritage Register. Mr Speakman said the house was of state significance because of its strong association with Dobell and his work, and that it held “potential to yield further information about one of the greatest Australian portrait artists of the twentieth century”. Dr Siobhan Lavelle, Manager Listings for the Heritage Division of the Office of Environment and Heritage, viewed Dobell House as an important addition to the register, as there was only a handful of listings that had been the homes and work spaces of artists and writers. “With the house, the studio and the gardens, you have the imprint of the person in this place,” Dr Lavelle said. Although his reputation in Sydney was as a shy and reclusive man, Dobell was very much part of the Wangi community, from having a beer with friends at the pub each day to using some of the locals as portrait subjects. Greg Piper welcomed the recognition of the house, and of the importance of Wangi to William Dobell.